“I want to pursue a career in economics to inform policy that can dismantle structural barriers to economic equality for immigrant communities,” says Evan Avila a junior majoring in economics and political science. Now, he’ll be even better positioned to do this work. Avila, a Sondheim Public Affairs Scholar, has just been named a 2019 recipient of the distinguished Harry S. Truman Scholarship, an affirming recognition of both his achievements and his potential. Avila becomes the fourth Truman Scholar in UMBC history. He follows Alicia Wilson ‘04, political science, who was selected in 2003 and now serves as a senior vice president and senior legal counsel for Port Covington Investments. Photo courtesy of Alicia Wilson. After an intensive application and panel interview process, Avila was chosen for one of just sixty scholar positions out of 840 applicants nationwide. Now, he joins a network, built over the past 40 years, of over 3,000 scholars dedicated to public service in the United States and around the world. These past recipients now serve in leadership positions at the highest levels. The award grants Avila $30,000 toward a competitive graduate school of his choice. 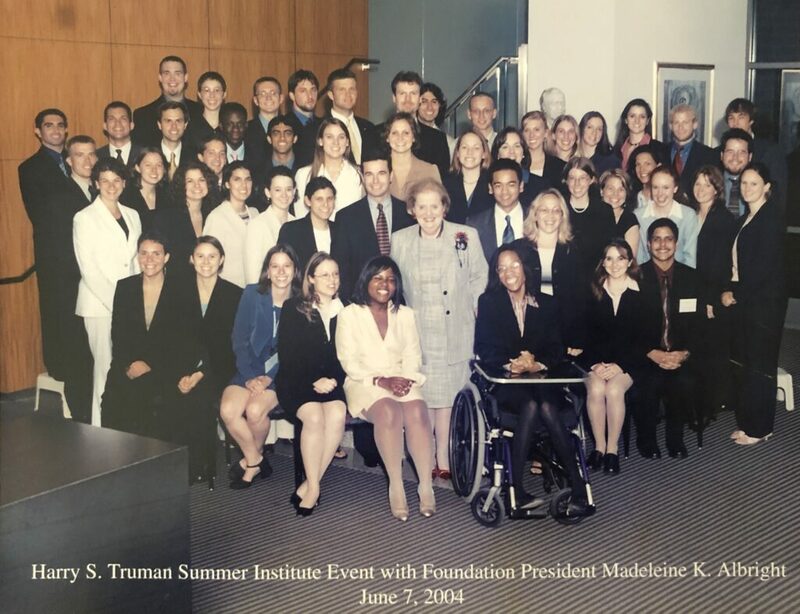 In addition, scholars gain access to continuous leadership development programs, such as the Truman Scholars Leadership Week and the Summer Institute. 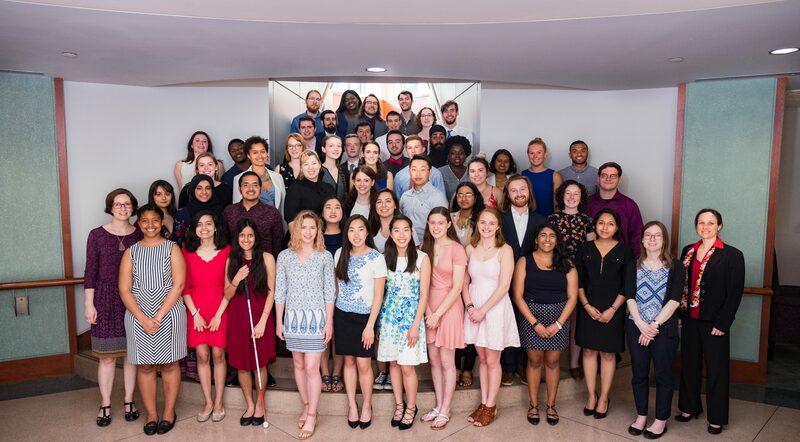 Scholars also benefit from mentorship by top leaders in government agencies, nonprofit organizations, public and private educational institutions, and advocacy organizations. UMBC has a rigorous selection process to nominate a student for a Truman Scholarship. It begins with recruitment from scholars programs, research initiatives, and departments across campus. April Householder, director of undergraduate research and prestigious scholarships, guides a committee that works with candidates. They prioritize the most important factor for Truman applicants: their ability to demonstrate a strong potential as a change agent in their chosen field. Avila will spend his senior year finalizing his law school applications. He plans to pursue both a J.D. degree and a master’s of law in taxation, to specialize in taxation and employee benefits law. His goal is to work for the IRS before informing policy on Capitol Hill. 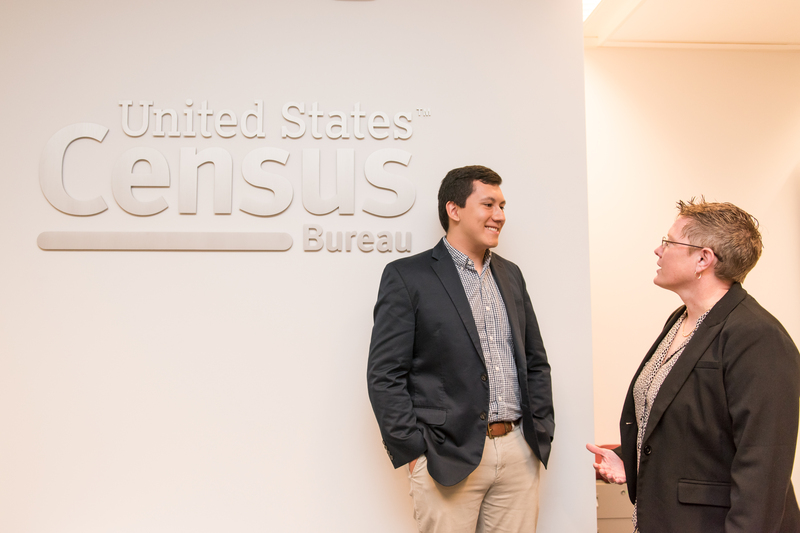 Avila in his internship at the U.S. Census Bureau. Photo by Marlayna Demond ’11 for UMBC. Avila began to prepare for these opportunities last summer as an intern at the U.S. Census Bureau and Treasury Department. This summer he will begin to fulfill his dream of working in Capitol Hill as an intern in the Senate Committee on Health, Education, Labor, and Pensions. He will also present his winning iOME challenge policy proposal, Rethinking Millennial Retirement: Policy Recommendations for a Gig Economy, at the inaugural Latinxs Making Money Moves Conference hosted by Latinos for a Secure Retirement coalition in Washington, D.C. The proposal provides innovative policies to help millennials save for retirement. It will also soon become course material at UMBC in the Erickson School of Aging Studies course How Boomers are Revolutionizing Aging. UMBC’s Sondheim Public Affairs Scholars program has nurtured Avila’s desire to serve communities most affected by structural inequalities. Notably, the program requires scholars to engage in, and reflect on, applied learning opportunities. Avila began by volunteering as a tax preparer with the UMBC Volunteer Income Tax Assistance (VITA) program, which helps low-income households prepare their taxes for free. Avila with the Sondheim 2017 cohort. Photo courtesy of the Sondheim program. During his sophomore year, when VITA’s leadership was graduating, Avila secured funding to continue the program and became its president and site manager. This year VITA reached a milestone by helping 500 clients for the season, 145 more clients than last year. While he worked in the VITA program, Avila received support from the Shriver Center, which provides opportunities for engaged scholarship and applied learning, for his work at the Esperanza Center. The Shriver Center acknowledged Avila as a France-Merrick Scholar for his commitment to service, leadership, and civic engagement on the UMBC campus and in Baltimore City. He is also a member of UMBC’s Honors College and board member of UMBC’s Financial Literacy Education Committee. 2018 Sondheim class picture. Photo courtesy of the Sondheim program. 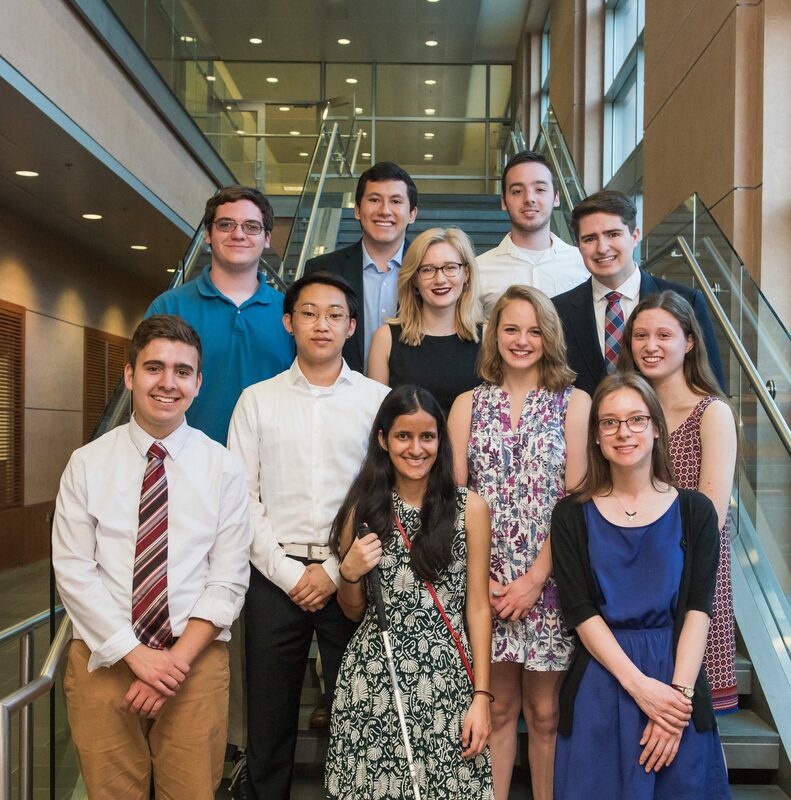 In becoming a Truman Scholar, Avila joins other Sondheim Scholars who have been recognized through prestigious honors. Rosa Rada ‘17, food systems policy, was a Truman Scholar finalist and became a Bill Emerson National Hunger Fellow through the Congressional Hunger Center. In 2016, Zainab Alkebsi ’09, political science, was admitted to the Bar of the United States Supreme Court through a historic swearing-in of deaf and hard of hearing attorneys. Ari Ne’eman ’10, political science, co-founder of the Autism Self-Advocacy Network, was appointed by President Obama to the National Council on Disability. The Financial Times named Greg Lowe ’05, political science, among its Top 100 LGBT+ executives in 2017, as global head of resilience and sustainability at Aon. The Sondheim program also has strong global reach and regional impact, with seven Fulbright Student Scholars and three Newman Civic Fellows. Banner image (l to r): Simon Stacey, director of the Honors College, and members of the UMBC Truman Selection Committee: Lori Hardesty, associate director of the Shriver Center; Avila; David Hoffman, director of the Center for Democracy and Civic Life; Householder; Brian Souders, Fulbright program advisor.